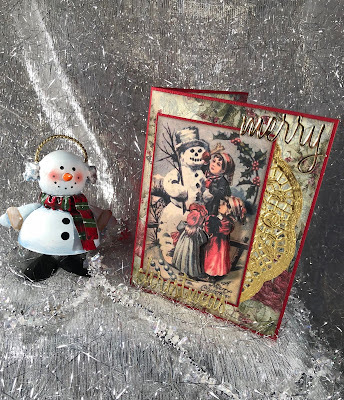 Sparkles Christmas Challenge this month is Outdoor Fun. Thank You Cheryl for this challenge. I must say, I had to dig back into an old CD to find a graphic that made me happy. I don't have many stamps reflecting outdoor fun.....The finished card makes me happy. I don't know if you can see what I did...I fussy cut the children 3 times to add a bit of dimension. Then I framed the graphic on a piece of red paper matching the base of the card. I mounted the frame to a gold doily and mounted that onto decorative paper. Since it was a scrap, I'm not sure the name of that paper. I used Tim Holtz dies for the sentiment. And here's my inside. As I always try to do, I used the same layout for the inside of my card. I find it easier to use things I already have at hand. The inside sentiment is Stampin-Up. And Joy is Tim Holtz. From the same set as the sentiment on the front of the card. 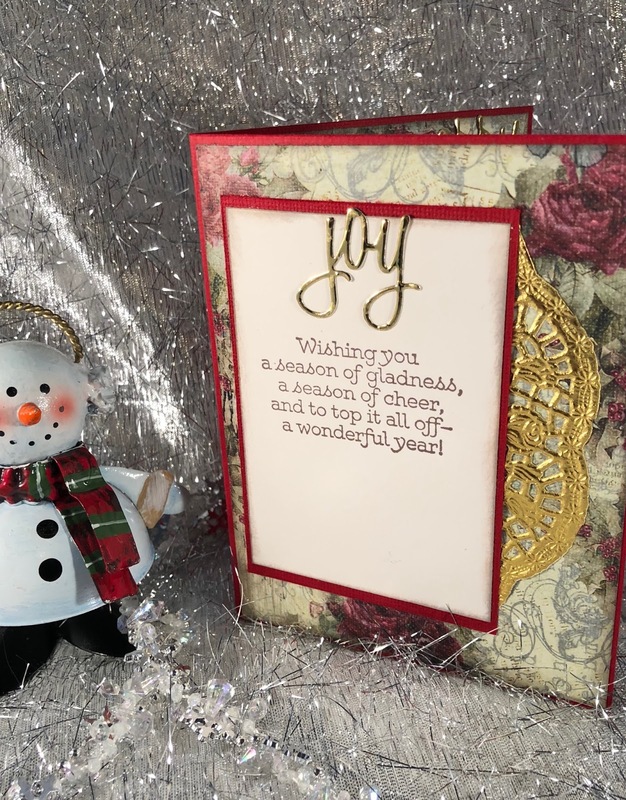 Now it's your turn....hop on over to the Sparkles Christmas Challenge and show us a card reflecting outdoor fun. Thanks for stopping by....I look forward to stopping by your blog to see what you've created. Until next time, Hugs from my world to yours. Mary, Love the vintage feel of your card! That graphic is perfect for your vintage look and the Sparkles Christmas outdoor fun theme.